Excel is available from stock in Jet Black RAL 9005. The colours shown are reproduced as accurately as this process will allow and can be made to order on the identified products. The Excel is available in Jet Black (RAL 9005) as standard. The Excel is an inspired design for the home or work place. 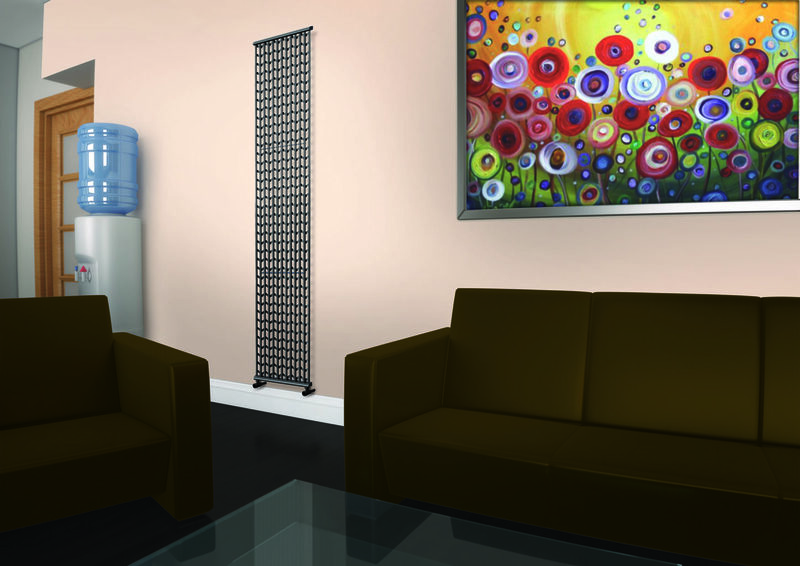 The functional lattice designed space divider is available in a sophisticated black as standard (RAL 9005). Engineered for maximum performance and available in different sizes and outputs.